Ekta Kapoor is a radiant new mother and she hosted the naming ceremony for her baby boy on Monday night. 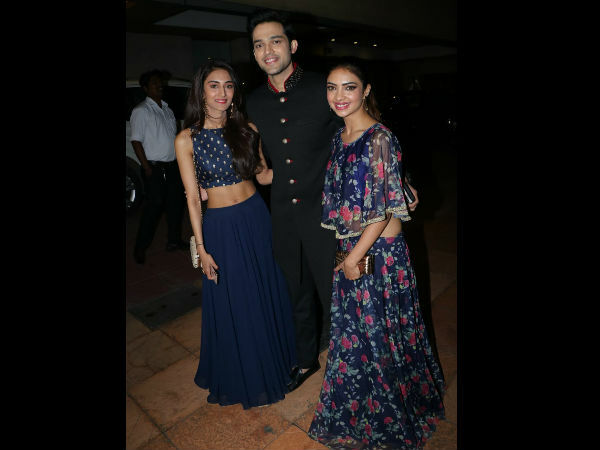 Many TV celebs such as Smriti Irani, Sakshi Tanwar, Rohit Reddy and Anita Hassanandani, Krystle D’Souza, Karishma Tanna, Surveen Chawla, Mouni Roy, Shabbir Ahluwalia and Kanchi Kaul, Erica Fernandez, Pooja Bannerjee, Parth Samthaan and many others attended the ceremony. Check out the pictures! Smriti Irani graced the occasion of Ekta Kapoor’s son’s naming ceremony on Monday night. Smriti donned a simple cotton saree to the ceremony. She posed with Ekta’s father Jeetendra as the paps snapped away. 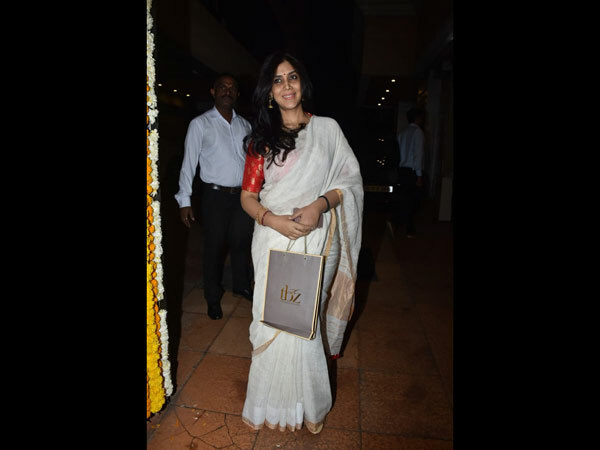 Sakshi Tanwar attended Ekta Kapoor’s baby boy’s naming ceremony on Monday. She looked lovely in a white and red saree as she posed for the cameras. 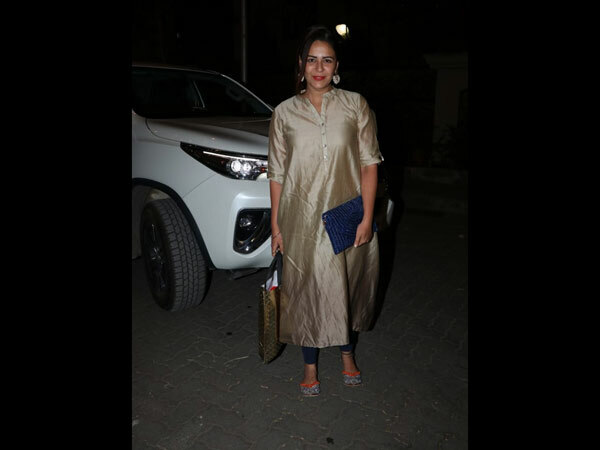 Mona Singh looked pretty in a long golden kurta with blue leggings at the naming ceremony of Ekta Kapoor’s baby boy. Mouni Roy made her presence felt as she appeared in a black one shoulder saree with a silver clutch, at Ekta Kapoor’s baby boy’s naming ceremony. Rohit Reddy and Anita Hassanandani posed for pictures at Ekta’s son Ravie’s naming ceremony. Rohit wore a golden colored sherwani while Anita opted for a blue dress. Krystle D’Souza looked beautiful at Ekta’s son’s naming ceremony on Monday night. She wore a lovely pink and maroon ensemble and accessorized with a choker necklace. Karishma Tanna made heads turn as she arrived at Ekta’s son’s naming ceremony. She looked gorgeous in a pink pant suit with a crop top, and a matching printed kimono. Shabbir Ahluwalia and Kanchi Kaul were also present at Ekta’s baby’s naming ceremony on Monday night. 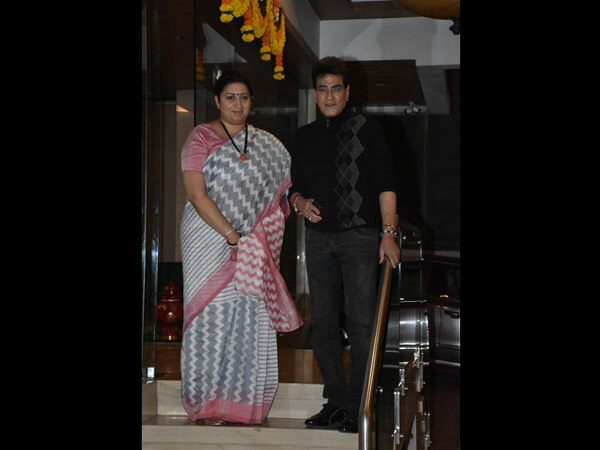 Shabbir sported a casual look in a black graphic sweater and denims, whereas Kanchi looked pretty in a maroon dress.